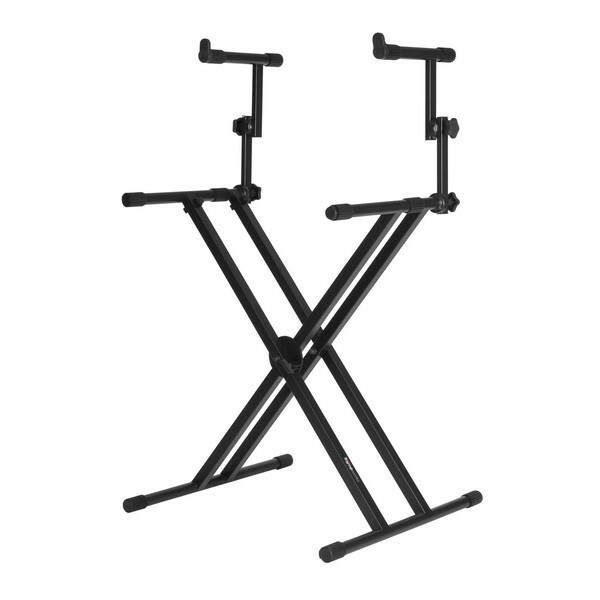 The Frameworks X Style Keyboard Stand features a heavy-duty double braced design with a height range of 22'' - 38'' and a weight capacity of 79.37kg. The quick-pull height adjustment enables you to adjust the stand to the perfect height for either standing or sitting, while the collapsible frame design allows the stand to fold flat for convenient transport and storage between gigs. Every contact point of the Frameworks stand is covered in rubber to protect your keyboard from scratches and prevent slipping. 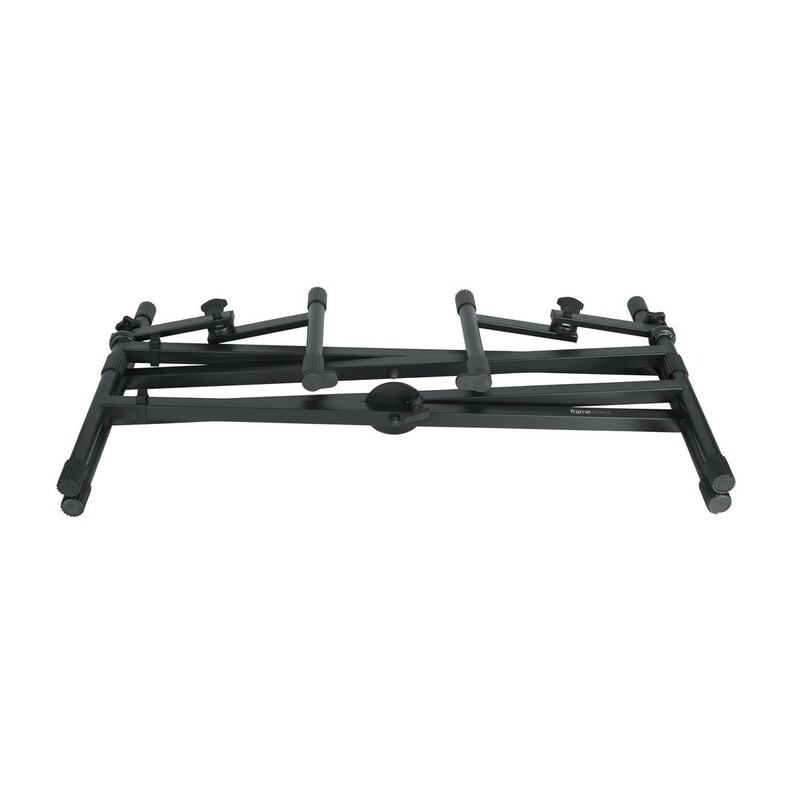 The Frameworks GFW-KEY-5100X keyboard stand also has a second upper tier for an additional smaller keyboard and can be adjusted to suit your preference without sacrificing stability.